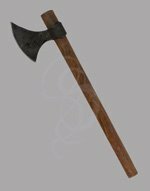 If swords are the rock stars of medieval weapons axes are like the stage crew, necessary to get business done. 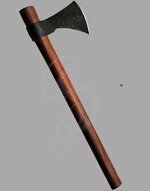 The axe was one of humanity's first real weapons. Used by almost all cultures they were one of the most prevalent weapons on the battlefield. 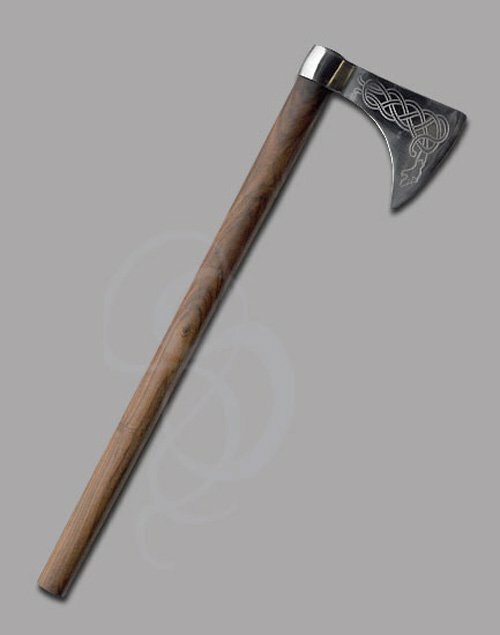 This dragon axe features a beautiful dragon engraving on the axe head. It has an overall length of 26 inches and weighs 2.4 lbs. 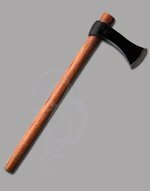 The 24 inch hardwood handle makes it comfortably held in one or two hands. Although because of the size and weight it is probably more comfortably held by two hands for most of us.